Back in March, Arnold Schwarzengger made some interesting remarks about his role in Terminator: Genesis. Citing some time travel elements, he noted that his Terminator will have aged, or at least the flesh surrounding the metal machine ages, that way Schwarzenegger won't have to be made young digitally. In addition, the actor also mentioned a younger T-800 who would get reprogrammed and used by an unknown enemy. Now we know who will play that younger Terminator as bodybuilder and trainer Aaron Williamson (via ScreenRant) updated Facebook to reveal he's playing a T-800 Terminator in the reboot. 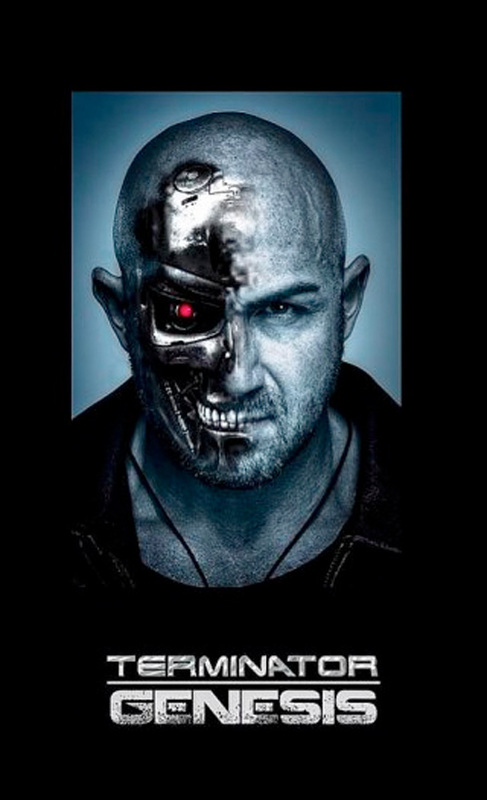 "Thanks to an amazing team of people who help me get better each week, both physically & creatively, I’ll be playing a T-800 (Terminator) in the upcoming production ‘Terminator: Genesis’. I’m extremely grateful & motivated as this new chapter begins to take shape." However, what's not clear is if Williamson is just playing a body double for Schwarzenegger to play a T-800 model that hasn't aged, or if he will be playing an earlier, different T-800 model Terminator. Either way, Williamson couldn't be more thrilled telling The Terminator Fans, "I grew up as a skinny kid watching the original Terminator & was fascinated by Arnold which is the man who inspired my career in fitness. To be a part of this production is a dream come true & a very special moment for me." More and more, I'm becoming very optimistic about this movie. Just in general. I want it to be good. But so did the last one. Only cool thing about 3 and 4 was no Eddie Furlong! I guess with this series (after T2) it's try, try, try again. Maybe something will stick this time. I'm so down for this movie with each bit of news that gets trickled out.